Fabulous Furniture is now FAB Furniture and Bedding! But don’t worry, we are still the same locally owned business with great staff, service and products! Our new online showroom is currently being stocked with our huge range. To sit on our lounges and lay on our mattresses please visit our showroom on Sky Close, Taylors Beach near Nelson Bay. For directions to our Taylors Beach showroom or to contact us. 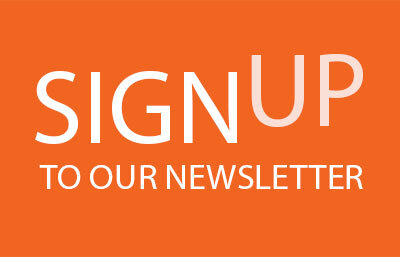 We know that you care how information about you is used and shared, and we appreciate your trust. 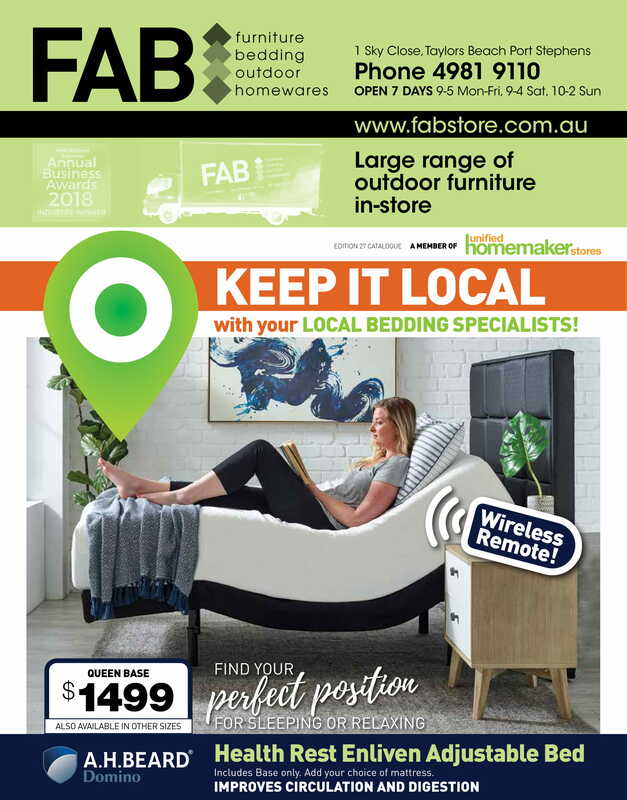 Transform your home with Port Stephens FAB Store. We have furniture solutions for every room of the house, outdoor living, home office and commercial needs. Our Taylor’s Beach showroom is set to surprise you with a massive range of Australian and imported furniture, with unsurpassed quality at competitive big city prices. It all starts with Fab Furniture. Three things our customers love when choosing new furniture for their living rooms. With elegant designs Fab Furniture offers outstanding value, comfort and stylish living for the whole family. Kick back, relax and let us help you take it all in! 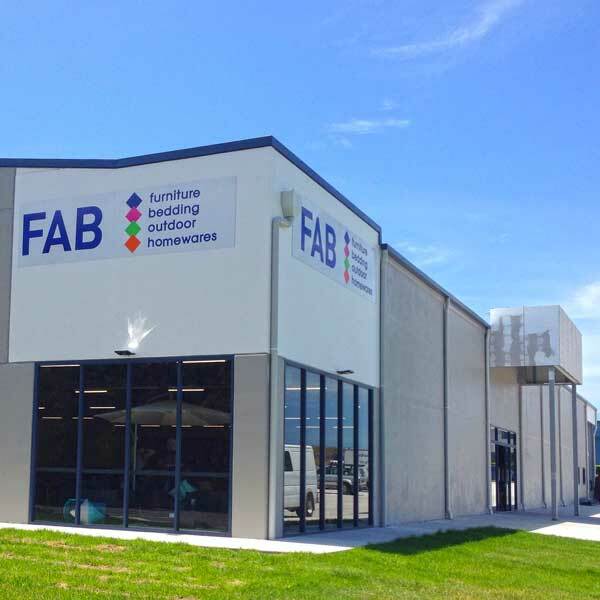 At Fab Furniture you are spoiled for choice with a large range of fabric and leather lounges. From one off pieces to modular suites, we have options for all tastes and budgets. Your guests will be spoiled too. We have a great range of sofa beds exuding style and comfort both sitting and sleeping. To complement your lounge suite we have a stylish range of armchairs, recliners, and ottomans to choose from. Complete your room with our enormous range of coffee tables, side tables, display units, entertainment units, sideboards, consoles and more. We have a fabulous choice of dining suites for the most discerning hosts who love to entertain! Starting with a wide range of dining tables from small round tables to extension tables for entertaining large families and friends. Our wide range of dining chairs and matching fabrics will complement any dining suite, giving your room that stamp of individuality and character.